Following in the footsteps of Lady Gaga and Christina Aguilera, Miley Cyrus is set to be the next pop superstar to kick off a new season of RuPaul’s Drag Race. 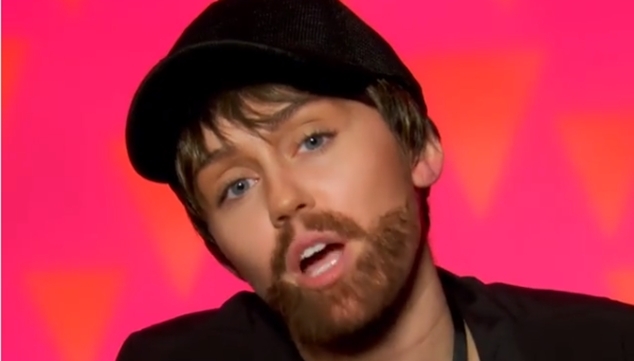 A new teaser show’s Cyrus (AKA Hannah Montana) getting into some boy drag so that she can keep an eye on this year’s competitors from behind the cameras ahead of judging the 15 queens at the panel. Earlier this week, the reality phenomenon gave us a sneak peek at the 14 new queens and returning RuGirl Vanessa Vanjie Mateo entering the work room and sizing each other up ahead of the first challenge – complete with remote controlled boas, secret cookies and sentient earrings! Who are you exciting to see more of? Let us know in the comments ahead of the premiere of RuPaul’s Drag Race Season 11 this Friday on Stan.